Of Discs: 1 disc(s) Studio / Publisher: WDHE UK Release Date: 18 Aug 2014 Edition: Normal. Chris Evans and Scarlett Johansson star in this action adventure sequel based on the Marvel Comics series. When a fellow S.H.I.E.L.D. agent is attacked he teams up with Natasha Romanoff aka Black Widow (Johansson) to uncover a conspiracy and, with the help of the Falcon (Anthony Mackie), defeat a powerful enemy known as the Winter Soldier (Sebastian Stan). 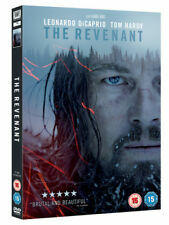 The Revenant DVD (2016) Tom HardyTitle: The Revenant Leading Actor: Tom Hardy Region: Region 2 Duration: 156 mins Format: DVD / Normal Type: DVD No. of Discs: 1 disc(s) Studio / Publisher: TCFHE UK Release Date: 06 Jun 2016. Zoom > Mission: Impossible - Fallout [DVD]. Product Mission: Impossible - Fallout [DVD]. Format: DVD. Certification: 12. Colour: Colour. Produced (year): 2018. What do I do?. Region: Region 2,4. 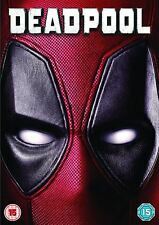 Deadpool DVD (2016) Ryan ReynoldsTitle: Deadpool Leading Actor: Ryan Reynolds Region: Region 2 Duration: 108 mins Format: DVD / Normal Type: DVD No. of Discs: 1 disc(s) Studio / Publisher: TCFHE UK Release Date: 13 Jun 2016. Spectre Blu-ray (2016) Daniel CraigTitle: Spectre Leading Actor: Daniel Craig Region: Region B Duration: 148 mins Format: Blu-ray / Normal Type: Blu-ray No. of Discs: 1 disc(s) Studio / Publisher: TCFHE UK Release Date: 22 Feb 2016. Ennio Morricone won a Golden Globe Award, a BAFTA and an Academy Award for his score and the film was nominated for three Academy Awards including Best Supporting Actress (Jason Leigh). Child 44 DVD (2015) Tom HardyTitle: Child 44 Leading Actor: Tom Hardy Region: Region 2 Duration: 137 mins Format: DVD / Normal Type: DVD No. of Discs: 1 disc(s) Studio / Publisher: TCFHE UK Release Date: 24 Aug 2015 Edition: Normal. 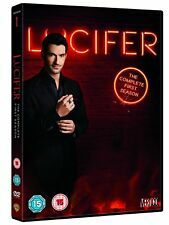 Of Discs: 2 disc(s) Studio / Publisher: Warner Bros. UK Release Date: 30 Mar 2015 Edition: Normal. Sci-fi feature written and directed by Christopher Nolan, director of 'The Dark Knight' trilogy. Among the potential travellers is a widowed engineer (Matthew McConaughey) who must decide whether to remain with his two children or to test the limits of human space travel, to see if there is a future for humanity out among the stars or whether the end of the Earth spells the end for humanity. The Accountant DVD (2017) Ben AffleckTitle: The Accountant Leading Actor: Ben Affleck Region: Region 2 Duration: 123 mins Format: DVD / with Digital Download Type: DVD No. of Discs: 1 disc(s) Studio / Publisher: Warner Bros.
Jason Bourne DVD (2016) Matt DamonTitle: Jason Bourne Leading Actor: Matt Damon Region: Region 2 Duration: 123 mins Format: DVD / Normal Type: DVD No. of Discs: 1 disc(s) Studio / Publisher: Universal Pictures UK Release Date: 28 Nov 2016 Edition: Normal. Allegiant [DVD] . Title:Allegiant [DVD] . All of our paper waste is recycled within the UK and turned into corrugated cardboard. Your item will be previously owned but still in great condition. 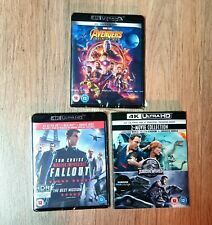 Guardians Of The Galaxy [Blu-ray]. Title:Guardians Of The Galaxy [Blu-ray]. All of our paper waste is recycled within the UK and turned into corrugated cardboard. Your item will be previously owned but still in great condition. The Hobbit: The Desolation of Smaug Blu-ray (2014) Martin FreemanTitle: The Hobbit: The Desolation of Smaug Leading Actor: Martin Freeman Region: Region A,B,C Duration: 161 mins Format: Blu-ray / with UltraViolet Copy Type: Blu-ray No. John Wick Blu-Ray (2015) Keanu ReevesTitle: John Wick Leading Actor: Keanu Reeves Region: Region A,B,C Duration: 101 mins Format: Blu-ray / Normal Type: Blu-ray No. 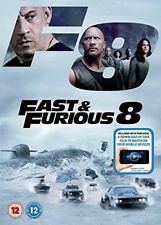 of Discs: 1 disc(s) Studio / Publisher: Warner Bros.
TABOO (DVD) (New). Encircled by conspiracy, murder and betrayal, a dark family mystery unfolds in a combustible tale of love and treachery. Jurassic World - Fallen Kingdom DVD (2018) Bryce Dallas HowardTitle: Jurassic World - Fallen Kingdom Leading Actor: Bryce Dallas Howard Region: Region 2,4 Duration: 123 mins Format: DVD / with Digital Download Type: DVD No. Black Mass DVD (2016) Johnny DeppTitle: Black Mass Leading Actor: Johnny Depp Region: Region 2 Duration: 123 mins Format: DVD / with Digital HD UltraViolet Copy Type: DVD No. 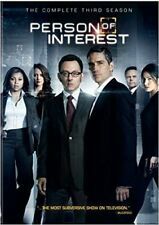 of Discs: 1 disc(s) Studio / Publisher: Warner Bros.
5 DVDS - 22 EPISODES. SECOND SEASON. Kingsman: The Secret Service DVD (2015) Samuel L. JacksonTitle: Kingsman: The Secret Service Leading Actor: Samuel L. Jackson Region: Region 2 Duration: 129 mins Format: DVD / Normal Type: DVD No. of Discs: 1 disc(s) Studio / Publisher: TCFHE UK Release Date: 08 Jun 2015 Edition: Normal. Ben Affleck and Henry Cavill star as the eponymous superheroes in this action adventure from director Zack Snyder which follows on from the events in 'Man of Steel' (2013). The film also stars Amy Adams as Lois Lane, Jesse Eisenberg as Lex Luthor, Jeremy Irons as Alfred Pennyworth and Gal Gadot as Wonder Woman. Nikita Season Two Region Free(ABC)Blu-Ray Box Set. Alex now needs and defends Division, and she knows all of Nikita's tricks. Living The Life: Maggie Q Behind The Scenes With The Star. Looks Do Kill. Ryan Gosling stars in this triptych of tales that follows the impact that a father's actions have on the generations that follow. The Place Beyond the Pines DVD (2013) Ryan GoslingTitle: The Place Beyond the Pines Leading Actor: Ryan Gosling Region: Region 2 Duration: 140 mins Format: DVD / Normal Type: DVD No. Gone Girl Blu-ray (2015) Ben AffleckTitle: Gone Girl Leading Actor: Ben Affleck Duration: 149 mins Format: Blu-ray / with UltraViolet Copy Type: Blu-ray Studio / Publisher: TCFHE UK Release Date: 02 Feb 2015 Edition: with UltraViolet Copy. 13 Hours DVD (2016) Max MartiniTitle: 13 Hours Leading Actor: Max Martini Region: Region 2 Duration: 144 mins Format: DVD / Normal Type: DVD No. of Discs: 1 disc(s) Studio / Publisher: Universal Pictures UK Release Date: 13 Jun 2016 Edition: Normal. 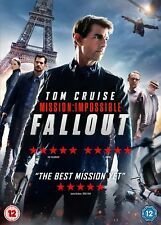 Mission: Impossible - Fallout (Blu-ray Bonus Disc)  [Region Free]. Condition is Like New. Dispatched with Royal Mail 1st Class Large Letter. Very good condition and fast shipping. Any questions feel free to ask. Arrow - Season 3 [DVD] . Title:Arrow - Season 3 [DVD] . All of our paper waste is recycled within the UK and turned into corrugated cardboard. Your item will be previously owned but still in great condition. Condition is New & sealed. Black Mass Blu-ray (2016) Johnny DeppTitle: Black Mass Leading Actor: Johnny Depp Region: Region A,B,C Duration: 123 mins Format: Blu-ray / with Digital HD UltraViolet Copy Type: Blu-ray No. of Discs: 1 disc(s) Studio / Publisher: Warner Bros.
CASE - SEALED,SLEEVE FITS OVER. BOOKLET - SEALED. DISC - SEALED. With the help of Moorish warrior Little John (Jamie Foxx), Robin transforms into the heroic outlaw Robin Hood, taking up arms to fight the sheriff and win the heart of his love, Maid Marian (Eve Hewson). Ghost in The Shell (2017) Blu-ray. Condition is Very Good. Sleeve is Spanish language but film is UK.